Perth stayed on track, Adelaide made a statement and Sydney FC beat their old nemesis to loom as likely second place finishers. Here are the individuals that made the difference in Round 24. 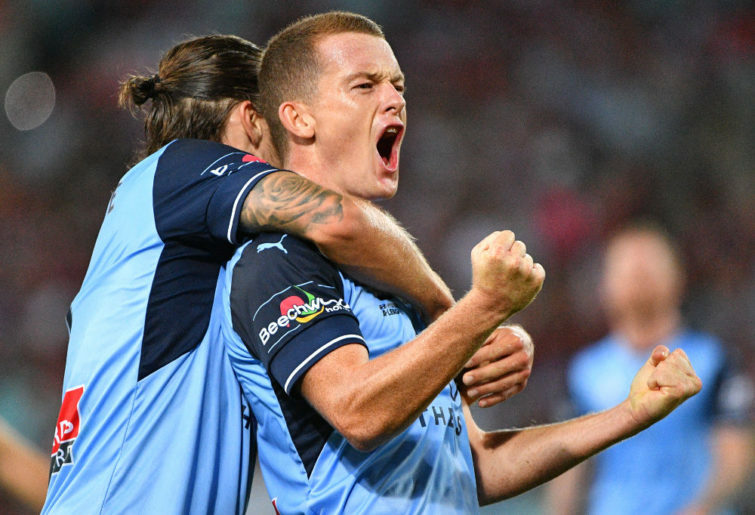 When Sydney FC took the lead in the Big Blue off the back of Brandon O’Neill’s stunner in the sixth minute, Redmayne looked set for an easy night. Sydney were rampant early and the visitors appeared well off the pace. However, in the second half, momentum was to shift and the Victory threw everything at the Sky Blues. After Kosta Barbarouses had equalised in the 16th minute, the game levelled out the longer it went and Melbourne mustered numerous realistic chances on goal. Redmayne was disciplined and resilient against one of the most lethal attacking lines in the A-League. With his seventh goal of the season, De Laet put City two goals clear after 70 minutes. It was another stunning strike from the imposing defender and came off the back of an excellent game where his linking play and purposeful runs forward had the home side looking likely. I would throw up his name as potentially the most valuable new import in the A-League, such has his impact and value been for Melbourne City. Anyone who doesn’t include Koutroumbis in their list of favourite A-League players has no heart, or a poor eye for football talent. After a major health scare, the 21-year-old from Adelaide has returned to the Jets team improving every week and is now proud to call himself an Olyroo. It was another polished performance for the small framed defender yet one that further enunciated his promise and value on the domestic scene. Well played Johnny, in more ways than one. I’m heading straight to the shops this morning to buy a pair of short shorts. Schenkeveld is not only the best central defender in the A-League, he is also a fashion icon; brandishing a rather counter-cultural pair of strides that rock the boat when it comes to football fashion. Perhaps the shorts distract the opposition, as week after week the Dutchman dominates at the back with his power and poise on the ball. The Roar were constantly repelled by his dominant presence on Friday night. Rarely have I seen Deng push so high up the park as often as he did against the Sky Blues on Saturday night. Despite all the attacking opportunities the home side managed early, it took a stunning strike from Brandon O’Neill to pierce the stoic Victory defence. Deng was at the heart of said defence; under siege for much of the first half and his improved maturity as a defender was once again on show in what was another quality performance from the Kenyan-born 22-year-old. Outstanding strike aside, O’Neill is in top form and even without his mate Josh Brillante by his side in recent weeks the Sydney midfield has looked no less intimidating thanks to his influence. With the old crew back together for the Big Blue and facing the task of coping with the deft magic of Keisuke Honda, the 24-year-old from Perth was outstanding, even though Honda did play a key role in Kosta Barbarouses’ first-half goal. After looking like the second best team on the pitch by some distance in the first half, the Jets rallied against the Wanderers in Newcastle and much of their attacking play came through Petratos’ work on the edge of the oppositions’ box. His off-the-ball runs were excellent and the space they opened for others played a key role in the Jets finally unlocking the key to the Wanderers defensive block. Some might argue that any player who finds the net from a corner should be an automatic selection in the team of the week. It is starting to look ominous for those A-League teams destined to play semi-final football in 2019. As boring as it might be to include the Serb in the team of the week for what feels like the fifth or sixth time, it is well deserved. Popping up and scoring the match-winning goal was one thing, but the poised control of Ninkovic through midfield was superb and one of the fundamental drivers behind a Sydney performance where they looked the better team for much of the night. There is not a person that I have come across in football who doesn’t speak highly of the 29-year-old from Sydney. In fact, a few suggest that Chianese’s gentle and kind persona has potentially held him back from becoming the footballer he could possibly have been. That might be a little overstated and the Perth Glory attacker might be a nice and gentle fella, yet a mean game of football he does play. His play at Perth has been as efficient and ruthless as ever and it appears that Tony Popovic may have unlocked the secret to Joel Chianese, something other managers have failed to do. After a stunning start to the season, Goodwin’s form in recent weeks has been questioned by many. 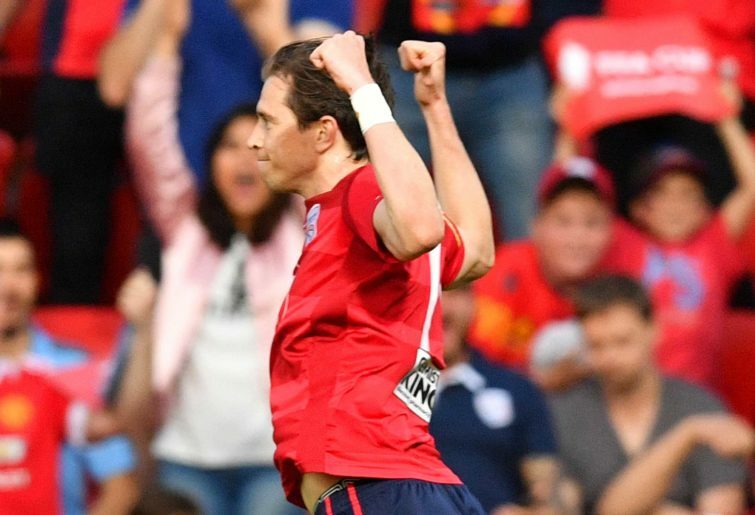 On a day where the Reds came out of the blocks with all guns blazing, he was back to his influential best against a woeful Phoenix side that only looked threatening when Adelaide went down to ten men. Goodwin’s skill on the left led to many dangerous balls being launched into the attacking zone. But for some sloppy play in front of goal, his efforts may well have led to an even wider margin of victory. After spending some time attempting to get a read on the 29 year-old Frenchman, the A-League finally got to see some of his best work as he bamboozled the Roar defenders with some deft touches and passes on Friday night. It was the impact desperately sought by managers and expected of imports. Berenguer has failed to live up to that expectation in his short time in Australia, but on Friday he finally found some form and even City fans were impressed after becoming increasingly frustrated with him in recent months.